Great little book- pg 74 Asparagus & Quinoa Stir Fry- this was easy to do. First time I have ever cooked quinoa before and it was perfect. I used date purée instead of honey ( recipe in book) The whole family liked this too which was a bonus. The dish wasn't overly flavoursome but still pleasant. My husband added Chilli flakes and my son squirted some fresh lemon juice onto his! I ended up having mine cold later on- and I think I actually preferred it this way. 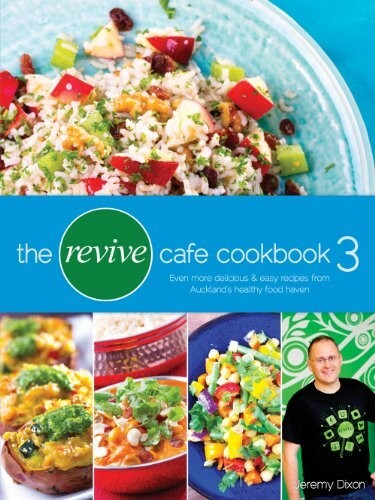 Revive Cafe's third book with their amazingly delicious and easy healthy meals.